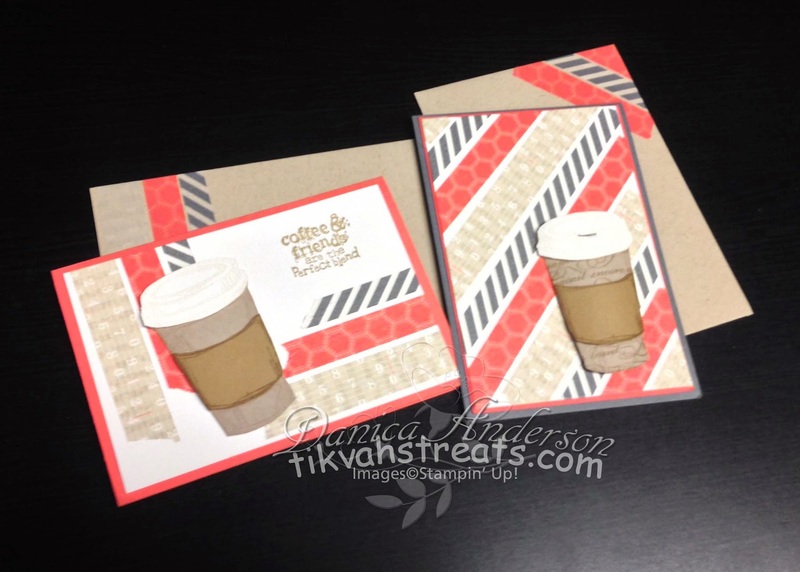 On Sunday’s I do bookkeeping for a local Coffee shop/Resort and this stamp set is perfect for use in this setting. 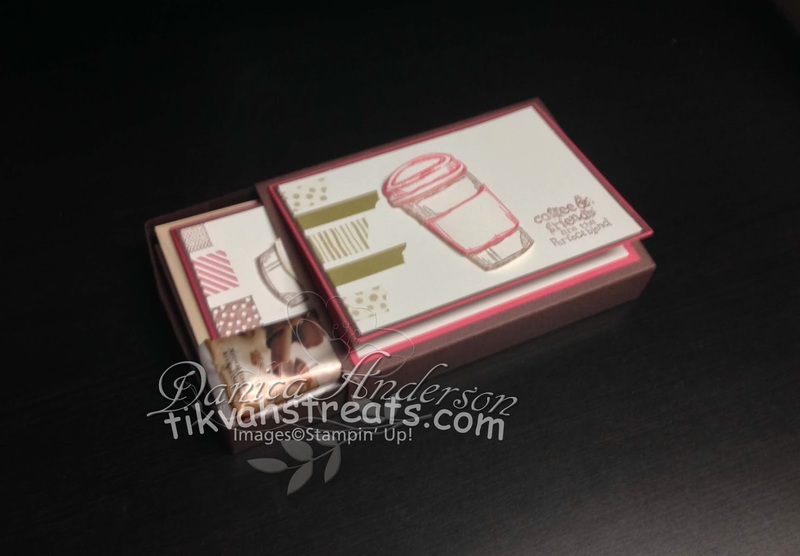 I have debated actually purchasing the stamp set since the catalog came out and finally gave in and ordered it. I then spent 2 or 3 days (well maybe not the whole day) playing with this set. 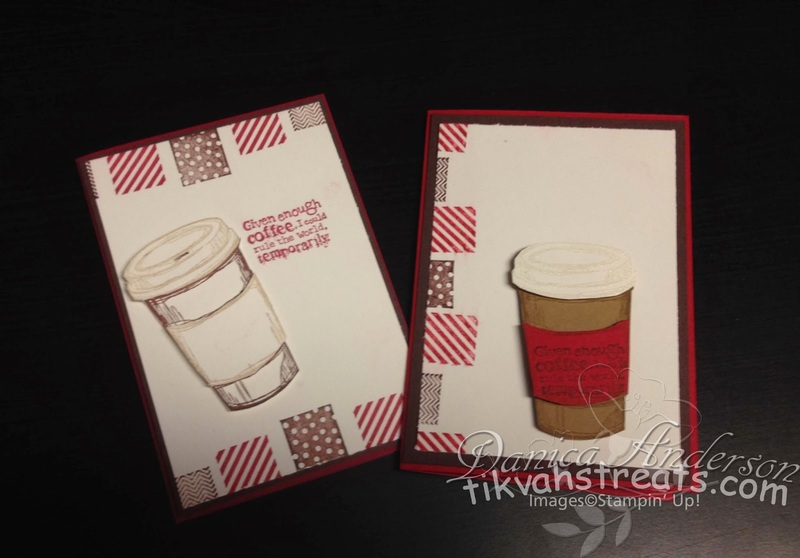 A while back purchased the small 5 ¼” x 3 ½” envelopes and this coffee cup is perfectly sized for little cards like this. 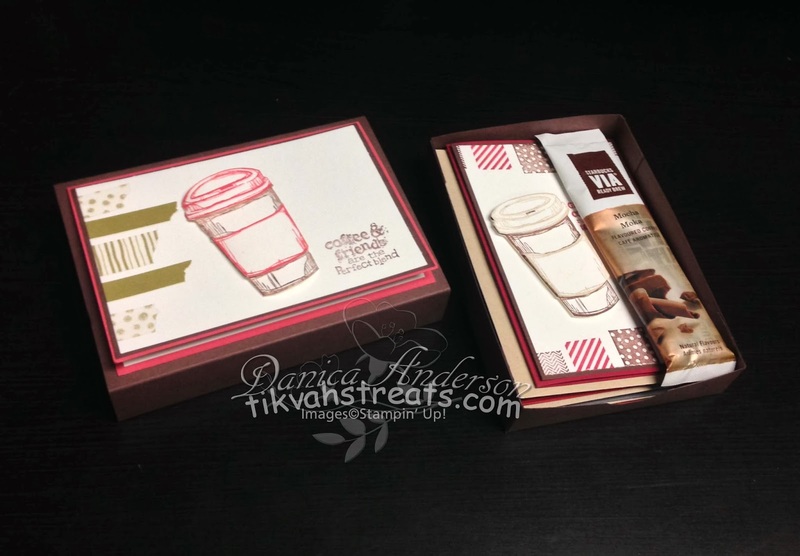 I also ordered clear bags from clearbags.com and when I placed my order I was trying to think of all the sizes I needed and this was one I forgot so I wanted to come up with a way to display, store and sell these adorable little cards, so I created this box based on a chocolate box with attached card to hold a gift card. I then took them up to work and they loved them, the owner wants to make some cards and has this stamp set on her wish list for a while, I think the wish list is about to become an order. 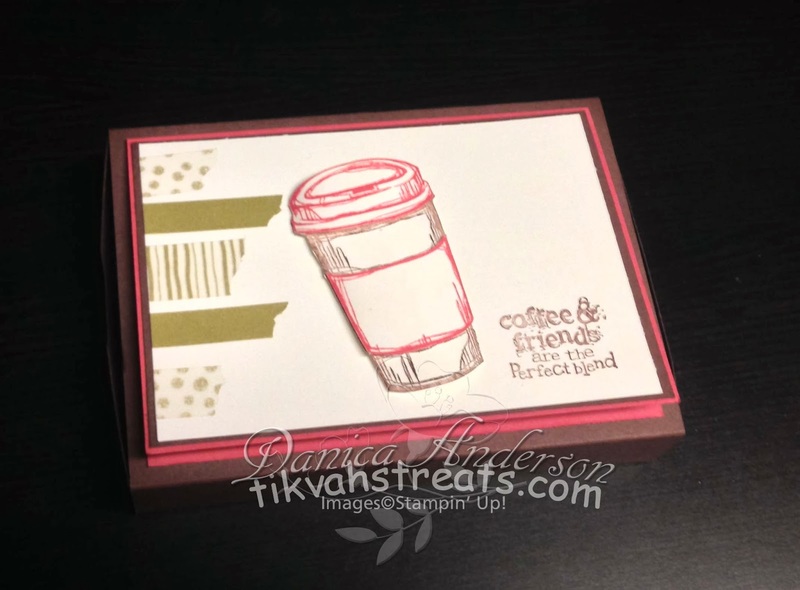 If you have used this stamp set and have posted your projects to your blog please share your link below.